• Tryout cost is $30 and there is a link in the www.jrjetshockey.com website. 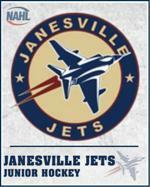 • Players will be evaluated by Janesville Jets NAHL coaching staff. • Practices will be on selected Sundays beginning in mid-April. • Practices will NOT be every Sunday. • There will likely be 3 practices for each team prior to each tournament. • We will provide a full practice schedule within a week of tryouts. • Practices will be 90 minutes in length for both teams. • Practices will be run by Janesville Jets coaching staff with Jets assistant coach Kyle Forte taking the lead. o U16s will play in College Prospect Division. • The cost per player if you make the team is $600. • The Jets coaches will be paid for running this program. These kids are at the age where they need to get exposure. These two tournament will provide guaranteed exposure while also exposing each player to junior level development. The tryout is early so as not to conflict with any other WIAA, WEHL or WAHA activities. But our practices won’t start until most of the WAHA spring festivals are done. Last year there were three USHL teams, five NAHL teams and multiple NA3 and USPHL teams at the Jets Showcase. All three UW coaches were there at some point during the tournament, too. In Boston, there is more exposure at the Junior Elite level than we saw at the College Prospects – but we have more time to market both teams this year to ensure we get seen by as many eastern NCAA and junior hockey scouts as possible. Your son may, or may not, want to play for another spring hockey club. It’s highly unlikely our tournaments will conflict with any other AAA organization in the state. Our advice for those that make the teams next Sunday will be for them to finish whatever WEHL or WAHA commitments they have and spend as much time as possible getting stronger. Our goal is to get a close look at kids that are motivated and have the potential to play junior hockey and to give them maximum exposure to scouts using the good will of the Janesville Jets brand. Lastly, the Jets U18 team may have a few of our younger guys that are not committed yet. That will certainly keep the tempo and compete level of practices as high as possible.